We'll be showing at OPPLcon this weekend! Come out to see our new stuff and avoid shipping charges! Orland Park Public Library is hosting its own mini comic con for the third year in row on Saturday, July 22 starting at 10 a.m.
Each year OPPL CON, the library’s own comic con, includes an “Artists’ Ally” in room 104 where artists bring their work to the library to show the community. This year the library has the fortune to host 9 different groups of artists. Some of the artists include Beta 3 Comics, Mystery Unincorporated, Sol Comics, Kumate Works, Cinders and Glitters, and the Sketchy Duo. Links to all the arts’ webpages are available at the library’s website. Children will have a chance to take a picture with a snow queen from 10:30 a.m. to 12:30 p.m. and a web slinging superhero from 1:30 p.m. to 3:30 p.m. thanks to Premier Princess Parties. Patrons are encouraged to dress as their favorite characters like Superman, Spock, and Maleficent as well. Events run through the day, including a special Superhero storytime at 10 a.m., themed crafts at 11 a.m. in Youth Services, and a costume parade at 1 p.m. Teens are invited to participate in the Super Smash Brothers Tournament in the storytime room at 2 p.m., and adult patrons might enjoy two discussion panels held upstairs in the computer lab on The Walking Dead and Game of Thrones at 11:30 a.m. and 2:30 p.m. respectively. Library patrons can scoop up a sweet treat just outside of the library front doors at 11 a.m. from TCBY. The library would like to thank all its sponsors including Burger 21, Mod Pizza, Premier Princess Parties, and TCBY for helping make this event happen. While visiting the library Saturday, patrons can get a temporary tattoo, take a superhero picture at the photo booth, attend superhero training, and stop by the lobby to see the library’s own 3D printer in action any time between 10 a.m. and 4 p.m.
For more information, visit the library’s special OPPL CON webpage at http://www.orlandparklibrary.org/comiccon or call 708-428-5100. The Orland Park Public Library is located at 14921 Ravinia Avenue in Orland Park, Illinois. Hours are Monday-Friday from 9 a.m. to 9 p.m.; Saturday 9 a.m. to 5 p.m.; and Sunday 1 p.m. to 5 p.m. Whether you love to talk or not, couldn't everyone use a little help when it comes to selling. 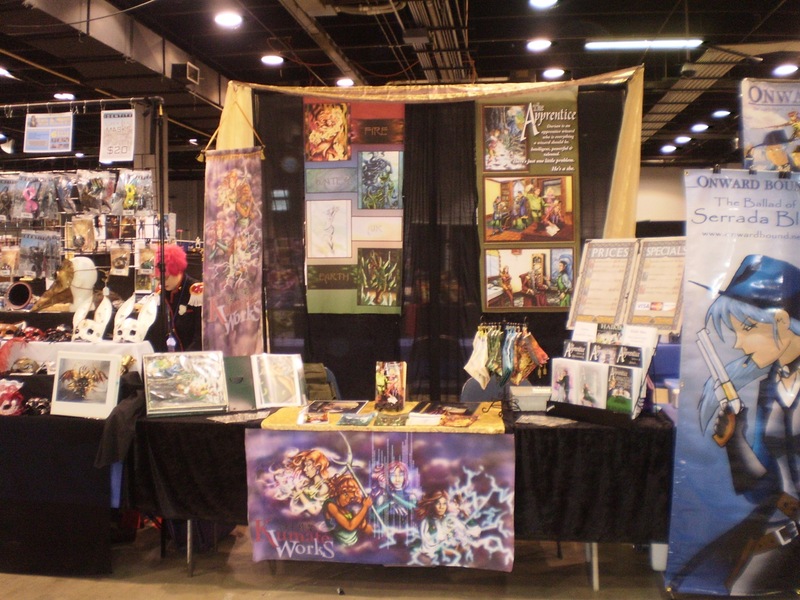 These tips will help you silently sell at a craft show. Before there were podcasts, there was the GP Tape Network. Only eight colors can transform into more than 150. Making a few wise pigment choices can lead to an expansive color collection. Chris Cozen explains how. A slow economy can mean fewer sales. But you can't just do more of what you're currently doing in attempt to bring sales back up. Change your tactics. Drink like a wizard! Enjoy your beverage of choice in a glass etched with the sign of The Drunken Unicorn. Catarina's pride and joy! This is a 16 oz. pint glass with a nice weight to it. We package it in a commemorative box featuring the Apprentice 10th anniversary logo. This is a limited edition design-any future glasses will have a different style. Get them while they last! The design is dishwasher safe with a lifetime guarantee. 16 oz. pint glass with a limited edition etched design, dishwasher safe.